Homemade recipes come with a truck load of benefits. Homemade Avocado Face Masks are amongst the best natural face masks that are known for nourishing and revitalizing the skin. This fruit is packed with skin friendly minerals such as iron, calcium, potassium, copper, magnesium, etc., vitamins A, E, B and K and unsaturated fats. 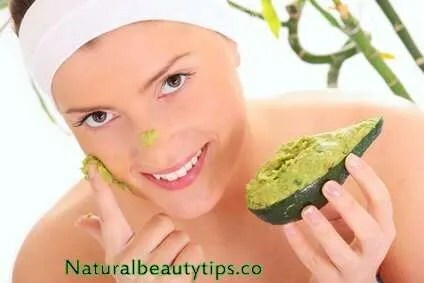 In this article, you will find how to make an avocado face mask at home. 1.Avocado Honey Face Mask: This easy to make face mask for dry skin uses only 2 natural ingredients, namely, avocado and honey, both of which act as natural moisturizers. This mask works wonders for mature, wrinkled and dry skin. Take 1 fully ripe fresh avocado, remove the skin as well as the seed, and mash it up into creamy pulp in a bowl. Add 1 tablespoon of honey and stir the mixture until it turns into a uniform paste. Apply to skin and leave it on for 10-15 minutes. Rinse off the mixture with lukewarm water and pat dry your face with a soft towel. 2.Oatmeal Avocado Face Mask: This acts as a great moisturizing mask and helps in restoring damaged skin. Take 1/2 ripe avocado and 1/2 cup of oatmeal. Cook the oatmeal as per instructions in the label on the oatmeal packet and mixed it well with the mashed avocado (without its skin and seed) until it turns into a pulp-free paste of uniform consistency. Apply it on your skin and leave it on for 10-15 minutes or until it dries up. Once it’s done, rinse it off with lukewarm water and pat dry your skin with a soft towel. 3.Avocado Yogurt Face Mask: If you want to pump in moisture into your skin then this mask will do the trick. Yogurt also works well for acne prone skin because it has lactic acid that kills bacteria. As the plain yogurt is a little acidic, it works to restore your skin’s pH balance as well. Natural Beauty Tip– In case your skin is oily, go for a lower fat content. 4.Avocado, Banana and Egg Face Mask: Take 1/2 ripe / soft avocado, 1/2 ripe banana and 1 egg yolk. Mash and mix all the ingredients together to form a paste of uniform consistency. Apply on your skin and leave it on for 10-15 minutes. Once done, wash it off with lukewarm water and then pat dry your skin with a soft towel.